Cotton Wicks for the lamp. In a 2 ltr cooker add jaggery powder and water. Let the jaggery melt completely. Cook for a whistle. Release pressure manually and mix in a teaspoon of ghee and processed millet flour. Mix thoroughly. It will become a soft dough. Let it rest for 5 minutes. Knead briefly and divide into 2 parts. 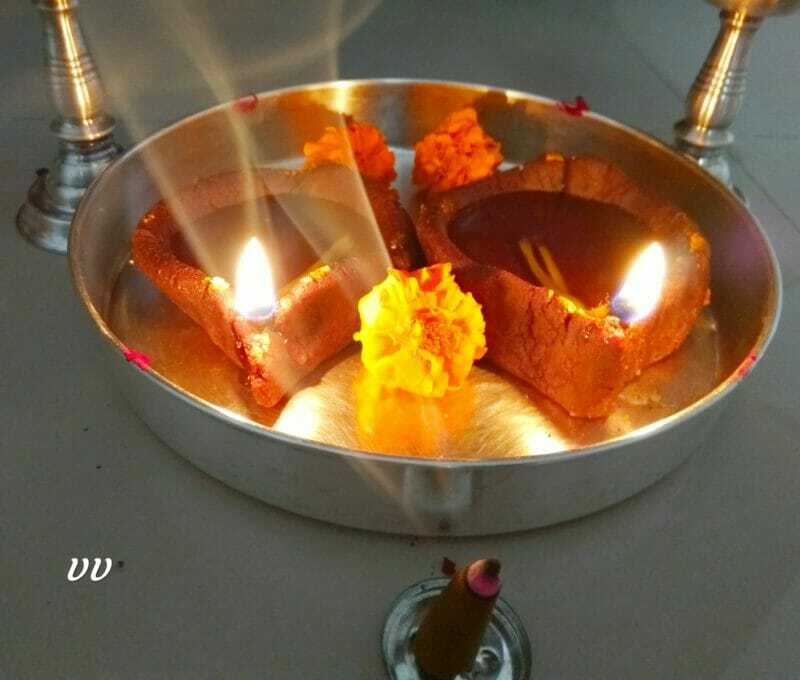 Shape them into diyas and pour ghee and cotton wicks. Light the lamps. 1. Kodo/Foxtail/Barnyard millet flours can be used. Make processed flour as mentioned in the main post. 2. Flour quantity may vary depending on the moisture content of jaggery and flour. First add a cup of flour and if the dough is sticky, add some more till you get a soft nonsticky dough. So it is advisable to keep some extra flour.